The MBM Triumph 4850 18.875″ (48 cm) cutter is equipped with many features to make cutting accurate and easy. A digital readout ensures exact positioning of the back gauge. The automatic clamp control allows the clamp to move up and down with even pressure independent of the blade. This allows the operator to use the machine to remove excess air between the sheets of the lift being cut. This 4850 also has a bright LED optical light line to show the operator the cut line before cutting, which eliminates cutting mistakes. 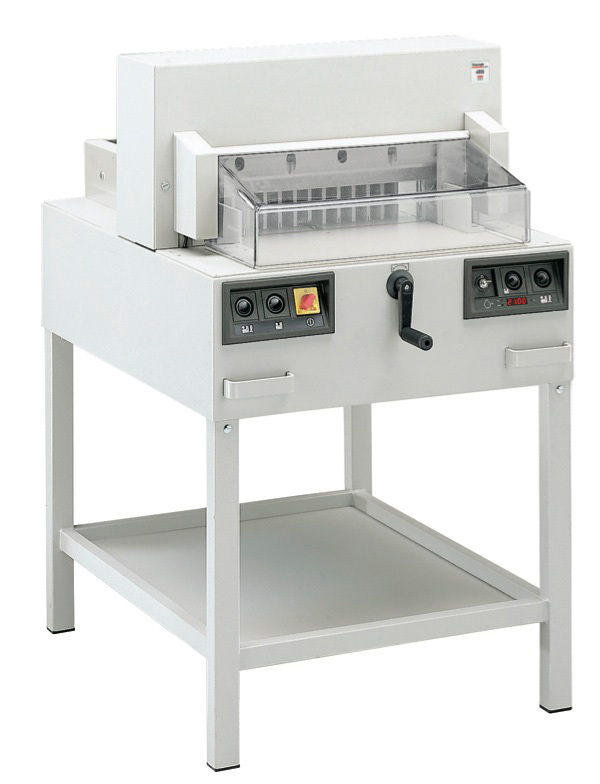 Many other guillotine cutter models are available.